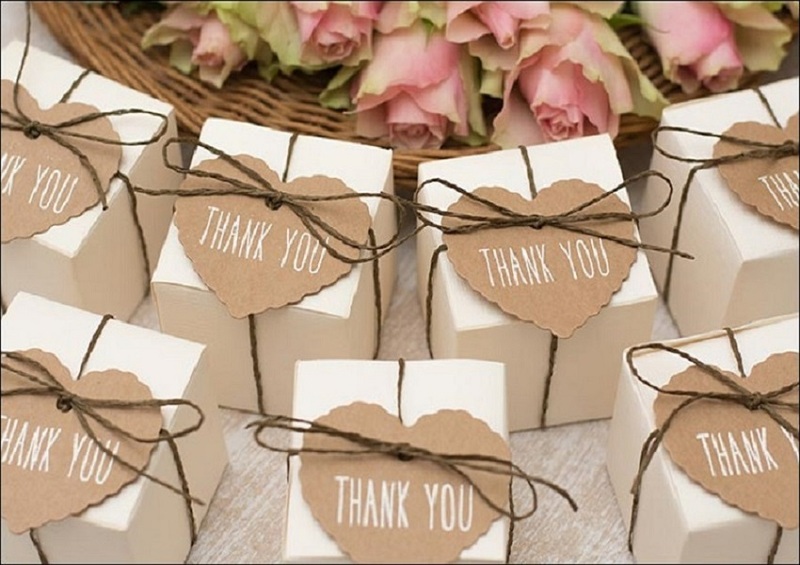 While not strictly required, wedding favors are a thoughtful way to thank your guests for sharing your special day. Even though they are basically symbolic, wedding favors are a tradition and a staple at most wedding receptions. Guests look forward to them and would be disappointed if you skipped the favors. They may be a mere token, but it really is the thought that counts. You may not have the opportunity to thank each guest individually for coming to the wedding, so the favors are a kind of thank you by proxy. It's a nice touch if you can match the favors to your wedding theme – rustic, classic, etc. Check out these wedding decoration vendors near you for some wonderful ideas on how to turn your wedding into a fairy tale! Guests do appreciate any favor that is useful, such as a key ring or bottle opener. 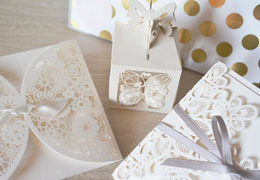 The perfect wedding favor will highlight and enhance your decorative theme. Edible favors are also very popular. No matter how much your guests eat at the reception, they will always find room to nibble on the way home. Wedding favors should be ordered well in advance to prevent a last-minute panic. Simply assemble or tag them and put them away until the big day. Where you place the favors is up to you. They make a lovely focal point when displayed on a large table. Or, for a more personal touch, you can set the favors on the individual dinner tables. This works great, especially if you attached personalized name tags. It takes a little more effort, but your guests will love it and remember your thoughtfulness. It's smart to have a few extra favors handy. There may be unexpected guests, such as those who didn’t respond to the RSVP! And a few guests will undoubtedly grab more than one, so be prepared. 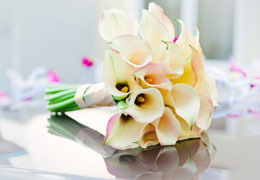 It is entirely appropriate to have special favors for special family members or your wedding party. Candy Boxes with burlap ties will enhance any country-type wedding. You can fill them with candy, if you wish. The boxes will hold six to eight Hersey Kisses. These make a lovely decorative addition in any room. Be sure to keep one or two for yourself and keep them stocked with your favorite chocolate or candy. The word “love” peeking out of a heart couldn’t be more appropriate. 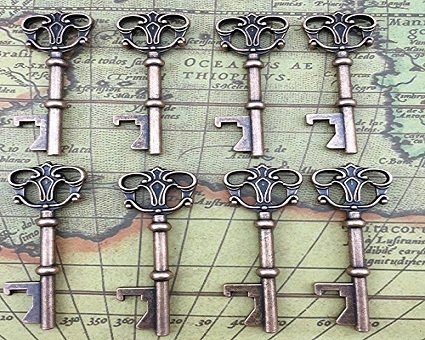 Antique Bottle Openers that look like an old-fashioned key. These are a practical wedding favor with some flair. They are made of sturdy material, so they will last. Everyone needs a bottle opener at times, and these come in a beautiful design. 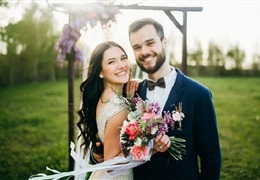 Weddings are the time to get sentimental, so attach a note that reads, “We have found the key to true happiness.” Useful and artsy at the same time. This awesome pineapple keychain represents generosity as well as welcome in a traditional Hawaiian gesture. 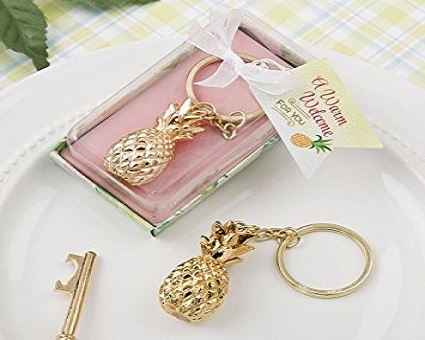 Attached to the golden pineapple is a keychain that anyone will appreciate receiving, and it would be especially appropriate for a beach-type wedding. 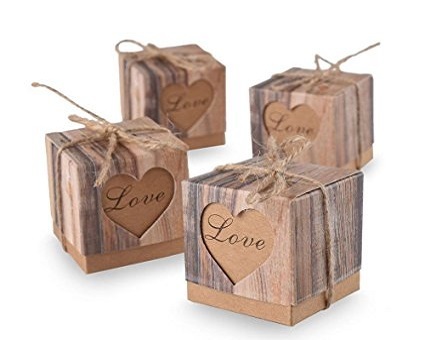 It comes inside a box with a note saying, “Warm Welcome.” Your guest will really the sentiment, and they will remember your wedding every time they unlock their door. 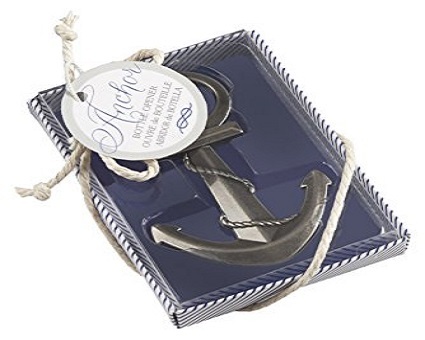 This anchor-shaped bottle opener is the perfect wedding favor for a nautical-themed wedding, wherever it may take place. Of course, if your wedding is being held on a yacht, this bottle opener is a must-have favor. Let your guests open a bottle of the bubbly in honor of your wedding as you set off on a honeymoon cruise. Cheers! 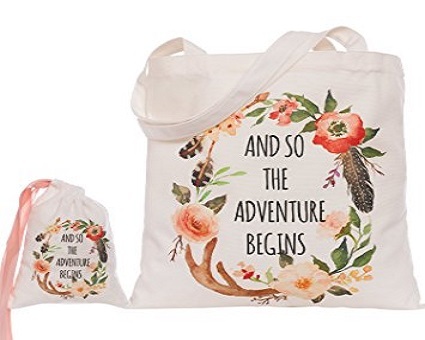 A floral tote bag serves as a special wedding favor for the bridesmaids and maid of honor who have supported the bride throughout her wedding plans. Show them how much you appreciate all their hard work by gifting them with this gorgeous linen tote bag as a favor. Use it as an excuse for all the ladies to enjoy a shopping spree after you return from the honeymoon. It doesn’t get any more beautiful than this – unless it’s the bride herself. 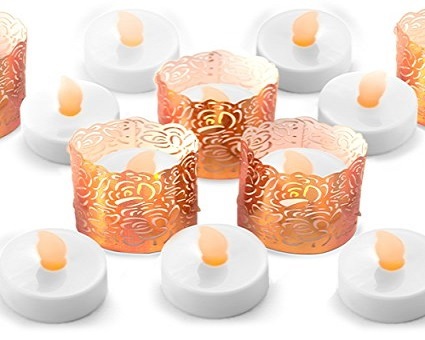 Not only are these golden votive candles gorgeous, your guests will relive your wedding when they light the candles during the next blackout. Or perhaps some of them will enjoy a relaxing bath by candlelight. Either way, these candles are awesome. Ordering them as both table decorations AND wedding favors will create a lovely, unifying theme. Your guests will actually look forward to using this whimsical cheese board and spreader to easily spread their favorite soft cheese. 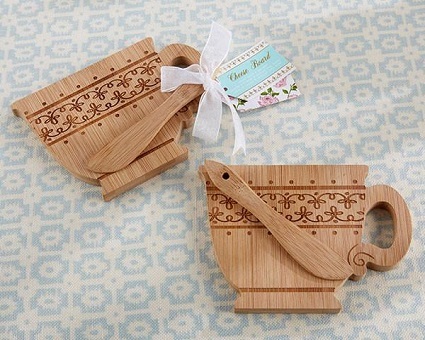 They are shaped like bamboo cheers sign but can be used anytime. Fun for the home or to bring to the office for a cheese and cracker lunch. Every savory bite of Brie will bring back fond memories of your wedding. Cheesy … not at all. 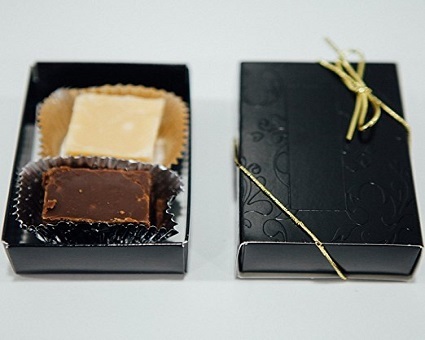 Nothing beats an edible wedding favor, even if the guests have had a huge reception dinner. This delicious Wedding Fudge won’t make it out of the parking lot. Guests will be devouring these sweets immediately. There are two pieces wrapped in a handy box, one white the other dark, so everyone gets a bite. Don’t worry about the calories. You’ll have danced enough at the reception to work off several pieces of fudge. 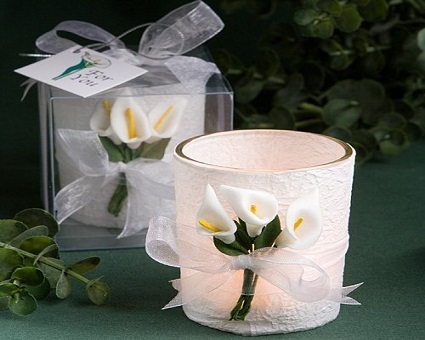 These Calla lily candles are exquisitely elegant and beautiful. Since the calla lily is one of the most popular wedding decorations and bridal bouquet flowers, this candle fits the theme perfectly. They come with a votive candle and are individually boxed with a personalized name tag. Use them as lovely decorations for your home, although they may be too pretty to burn. How absolute fab. 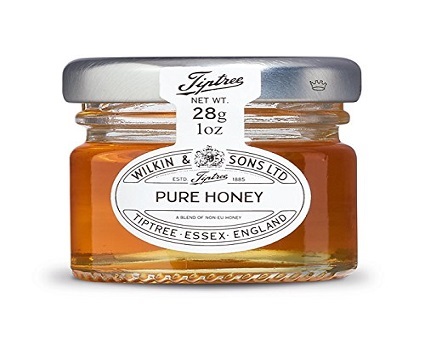 This adorable jar of sweet, pure honey from England is a tasty and healthy way to ensure your wedding guests enjoy a fabulous breakfast. This could start a new breakfast tradition for many of your guests. For some real savoir-faire, add a few honey dippers sticks to the jar. See the wedding favor listed below. It’s the best possible combination. 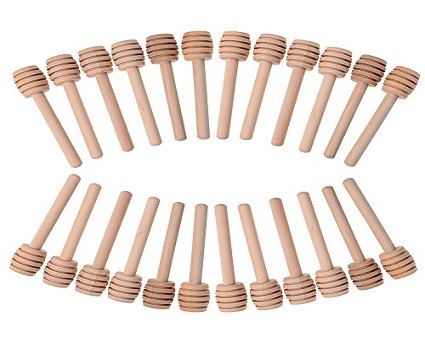 Individually wrapped honey dipper sticks couldn’t be more adorable. Use these enchanting sticks at breakfast or at a tea, along with some honey. This is undoubtedly how the Queen flavors her favorite tea. If you’re having a kids’ table, these incredible chocolate-covered Oreo cookies are a must. Each favor box contains eight cookies with dark chocolate and sweet icing. Not only will the kids devour them, they may have to fight off a few adults. Of course, there are no rules against giving this scrumptious favor to everyone for the sake of keeping peace and harmony. 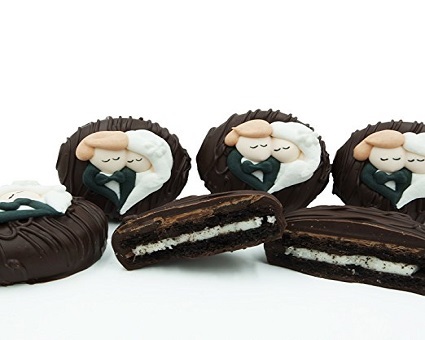 Needless to say, these Oreo cookies are ideal for a black and white themed wedding. These gooey frosted cupcakes are a dream. 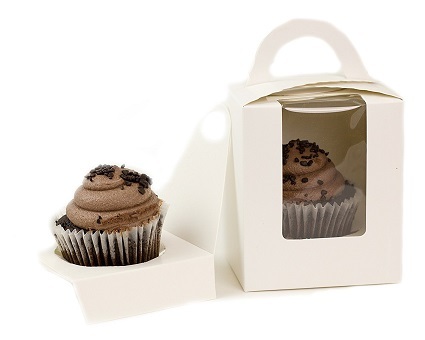 The box can be assembled easily, and it comes with a cupcake holder. Your guests will be delighted to find these at the table. This is another favor that is very kid-friendly, and grow-ups love them, as well. Well, this is just nuts! 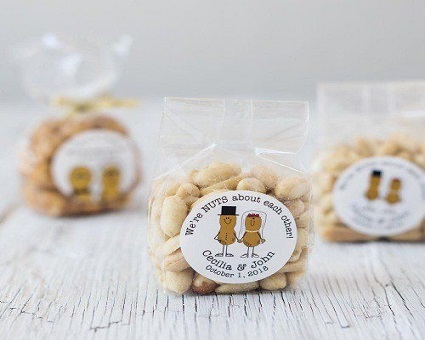 Your guest will go “nuts” over these tasty nuts in a bag. You can personalize the bag with your own message. These are the perfect snack anytime. Do you want fries with your … we’re joking! 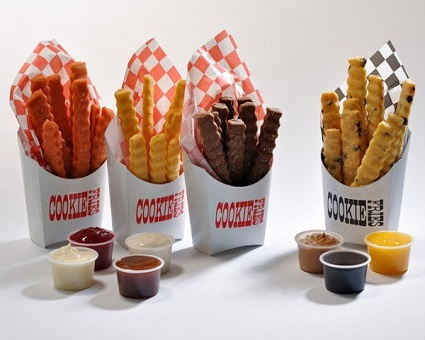 These humorous and flavored cookies in a fast food bag with some sweet “condiments” such as chocolate and caramel for dipping are a fun favor at any casual or backyard wedding. When it comes to wedding favors, you have many options. Choose one to compliment your wedding theme, and you are good to go. The Best 17 Ways to Thank Your Bridesmaids and Groomsmen They’ll be Thanking You!